Back in West Hartford, with daughter Susie and the girls visiting for the weekend. 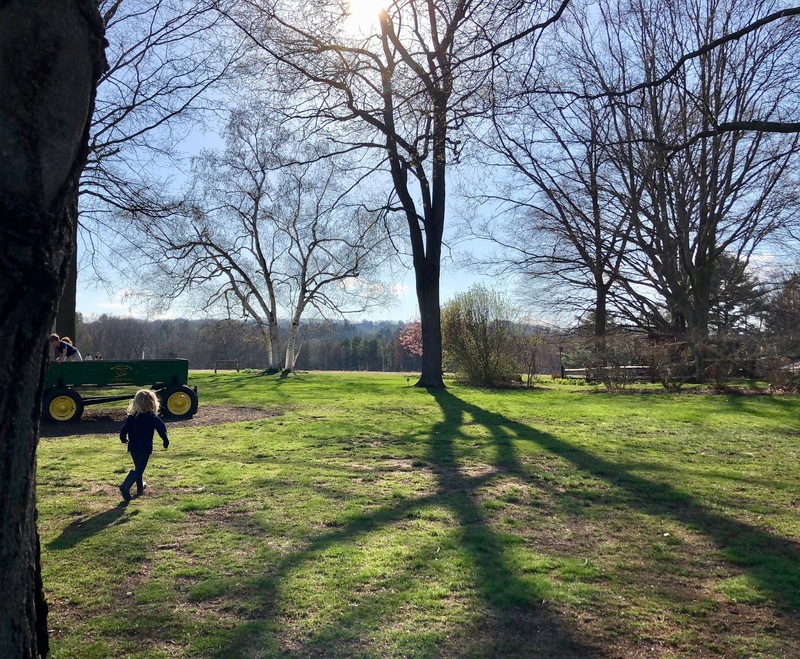 We got to Westmoor Park after the farm closed, but the grounds were open for exploration. Granddaughter right? Grandchildren are a gift. I'm sure they both love just running around. My two do. That looks like one intrepid explorer, hope that you can keep up! Glad to know you are home safe & sound, Jack! What a lovely spot!